storage tank gauges, and oil drilling machines and infrastructure. Often times in manufacturing parts and infrastructure for oil rigging and fuel infrastructure, materials are important, and we have access to certified materials that have been through Charpy V-Notch Testing, in order to ensure that you get high alloy metal materials that are needed for the beating and chemical exposure that oil and gas infrastructure endure. Whether you need steel or aluminum parts manufactured, bearing seal plates, or other specialized needs we have the right mix of experience and equipment to complete the job. 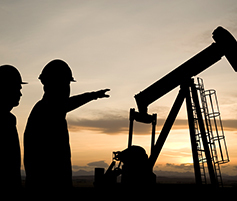 From engineering and design feasibility of new parts to CNC machining, welding, powder coat painting and zinc metallizing, our manufacturing and assembly team can meet your needs for oil rigging parts and equipment from start to finish. in our machining and fabrication shops. 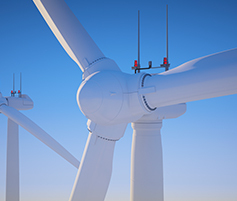 With the capability to build the parts for wind energy turbines or and in-plant tooling for making the components to build wind turbines, Barnes offers machining services from design to delivery. Whether you need a feasible part design or certified Charpy V-Notch tested high alloy metals, our company has the knowledge of engineering and access to the materials you need to get your tooling and mechanical components manufactured in the timeline you need it. From hinges, ladders and platforms, bearing seal plates to capital infrastructure we offer quality solutions for manufacturing or supply chain components. See Some examples of our work or download our pdf. If you need component parts for recycling equipment like equipment frames, axles, blades and baler parts, Barnes Manufacturing Services provides complete engineering and design services, as well as custom manufacturing services. 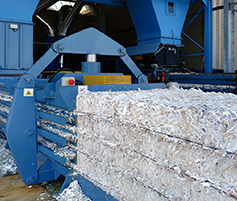 From start to finish, we offer machining services, machined weldments, zinc metallizing, sandblasting and powder coating for your recycling equipment. Whether you need custom fabrication of recycling equipment parts, or have an idea to make your equipment work more efficiently, we can take your machining project from design to delivery. Between our 3 companies at this location you can have the entire part or manufacturing component completed here and save on delivery. See some examples of our work in our project gallery. 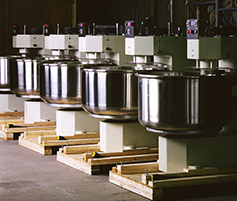 Whether it’s custom fabricated component parts for your food processing equipment or easily sterilized surfaces and platforms for your food processing plant, Barnes Manufacturing Services has it covered. We work with all kinds of materials including steel, aluminum, stainless steel, and can use plastic if it makes sense for the part. Our team does it all from product design and engineering, CNC machining, zinc metallizing, and even product feasibility. Zinc Metallizing offers a great surface finish that looks similar to galvanized steel, but is a more portable process that is gentler on the materials that are being treated. This process works well for any production material from metal to plastic and can be used for items of all sizes, including very large parts. 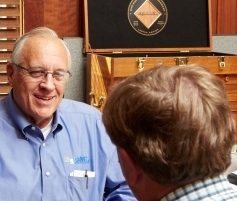 The grain processing industry has its own specialized equipment, and Barnes Manufacturing Services can design and custom fabricate capital equipment and make components that go into crushing and milling machines. Our team will work within your timeline and deadlines for cast iron machining and steel machining. 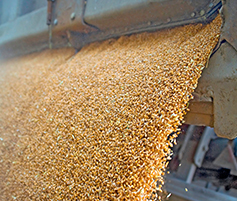 From machine castings and machined weldments to wet coat painting, and even complete design and engineering services, we can help you with the capital equipment and custom equipment parts you need for your grain processing plant.